A child who refuses food often or eats the same foods over and over is classified as a picky eater. 2) If they can express themselves clearly ask what they like to eat, don’t force your choice on them because their taste palette may crave something spicy, sweet or sour. If you give them what they like, it’s easier to get them to eat. 4. Provide options(few options) with this, the child can feel a sense of authority that he gets to decide what he’ll eat as such, he’ll be more cooperative. 5. Praise the child for each efforts he makes to eat and this will encourage him to eat further. 6. Let your child see that you eat also because children watch more than you think they do. Eat together as a family if possible and do this consistently. 7.) Prepare meals together(don’t focus on the mess that can result, remember the ultimate goal is to get him to eat) if the child makes his own meal or contributed to the process, he’s more likely to eat his own creation as it were. 8.) Combine new foods with his favorite. 9. Create a positive atmosphere, avoid arguments, try not to get exasperated when they refuse to eat, get the conversation going and interesting. When a child is happy, he’s more likely to listen to and cooperate. 11) Limit his intake of junks, juices, drinks and water as this would keep him full and prevent him from eating as much as he should. 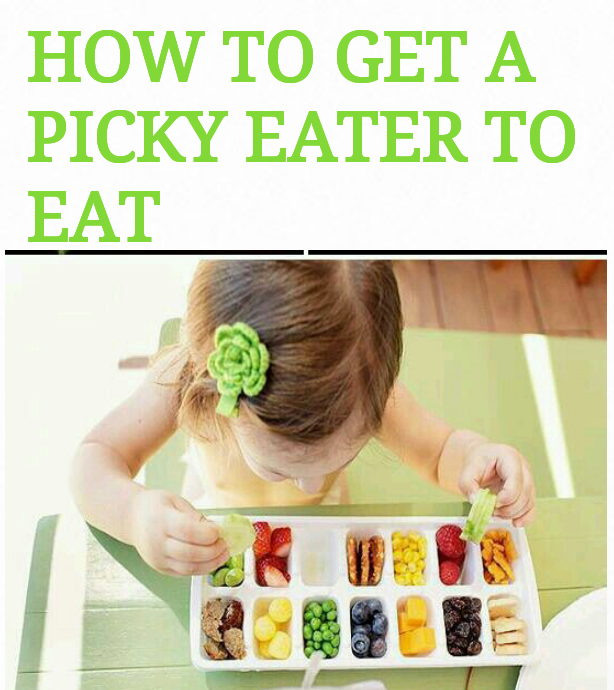 Note:Try to sneak in healthy food in creative ways so the child can get a balanced diet. Don’t give up, be consistent with this tips and before long you’ll see the changes you desire. I hope these tips help you as much as they’ve helped me, remember to share to by clicking on the appropriate icon below, this might be a solution to a mom’s problem.